I am indebted to Gopal Rao, a Landmark Forum Leader and the Operations Manager for Landmark in India, who makes the transformation of a billion people his personal business, a big player, who inspired this conversation. If I, like George Ivanovitch Gurdjieff, ever compiled my list of meetings with remarkable men, one of the men at the top of my list would surely be Maharishi Mahesh Yogi. 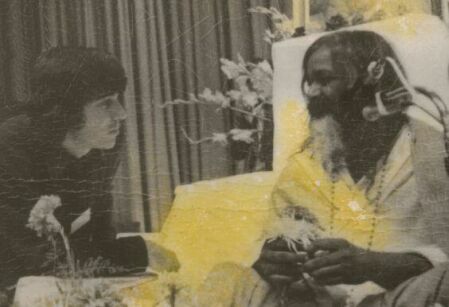 I met Maharishi in Kössen, Austria in 1971 and studied with him for a month, then traveled to Barcelona, Spain and crossed over the Mediterranean Sea to Mallorca in the Balearic Islands where I worked for him, already in residence there, for five more months. My job included cooking his meals under the watchful eye of Hari Har Khan, his impish chef who traveled with him everywhere. I then enrolled in a course with Maharishi for a further five months of meditation and yoga. When Maharishi later moved to Fiuggi in Italy he invited me to go along with him. 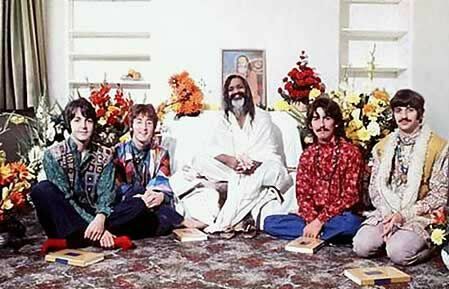 Maharishi, guru to The Beatles, is a rare, beautiful, and intelligent man. He's the kind of guy who if you had to choose one person to be shipwrecked with on a desert island, Maharishi would be a candidate. Legend has it he can crack a coconut by squeezing it in his bare hand. His mastery of the ancient Sanskrit language which he brings to bear in his brilliant translations of the Vedic scriptures and the Upanishads has left all mankind deeply and irrevocably enriched. Over the years, I've been asked me how working with Maharishi and practicing meditation and yoga compare to Werner's work. Whenever I practiced meditation and yoga, what I had in mind was to get somewhere. I considered meditation and yoga to be a path I was on, and if I practiced enough, I believed I would get to the end of that path which I believed would be a better place than where I was at. That's not, of course, what Maharishi Mahesh Yogi, developer of Transcendental Meditation and architect of one of the most respected ashrams in Shankaracharya Nagar, Rishikesh (in the Himālayan foothills), India, said about practicing meditation and yoga. Rather, that's what I made up about practicing meditation and yoga. And then, not atypically, I forgot I made it up and started to relate to it as if it were "the truth". In other words, I started to believe the purpose of practicing meditation and yoga was to get somewhere. And the problem with that is if you believe you have to get somewhere, it implies where you're always now is not OK - the solution exacerbates the problem. I got from Werner this is it! 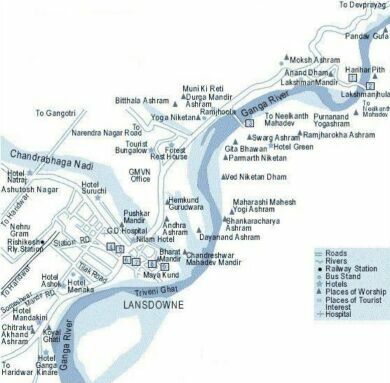 There's no place to get to. I'm already here. The train is in the station. The pretense that this isn't it, along with its inherent fussing to get somewhere, while being an essentially human foible, doesn't come from an enlightened place. It's at best a self-perpetuating defeatist stance from and within which all manner of malaises breed. So rather than practicing meditation and yoga to get somewhere, now whenever I practice meditation and yoga, I'm practicing meditation and yoga to practice meditation and yoga. This is what Werner calls a contextual shift. What knowing Werner makes available ie what meeting with this remarkable man offers is recontextualization (I love that word) of entire paradigms, practices, disciplines, therapies, and even religions so that the free being ie who we really are at the heart of those paradigms, practices, disciplines, therapies, and religions comes forth at their start rather than at their end thereby simplifying and clarifying them. In an earlier way of contextualizing the role paradigms, practices, disciplines, therapies, and religions play in our lives, they've had as their goal the freeing of the being ie who we really are at their heart. Yet paradoxically in many instances they're also exactly what keeps the being trapped. This anomaly hardly ever makes it into everyday conversation. It's considered normal, even ordinary. Werner's work can be counted on to break up what's normal, what's ordinary ie what's rote, what's blindly accepted, what we've become resigned to so that the being we really are is freed allowing the results of our paradigms, practices, disciplines, therapies, and religions to manifest as we invent and intend to live them. That's when you're awake to life. One of the things children hate doing when they're having fun is going to bed. They'd rather stay up all night! Contrast that with how adults have lost or degraded their sense of wanting to be alive, of wanting to be awake to life, of not wanting to go to bed. We start looking forward to chances to nap, to go to bed early, to sleep in, to stay in bed late. On the other hand when a child is awake to life ie most of the time, there's no desire for sleep. Life is too much fun. He doesn't want to miss anything. I recently traveled from San Francisco California to Cape Town South Africa and back to celebrate my mother's eightieth birthday. From when I woke in San Francisco at 2:30am to start day one of the journey until I retired for the night back at my home in the Napa Valley California at 11:30pm nearly eight days later, I had slept a total of thirteen hours. That didn't require consuming overzealous quantities of coffee. It happened simply because there was so much to do which called me to be alive, there was so much fun to be had, I didn't want to miss any of it. When it's like that, there's no trick or skill to being awake to life. It's simply a choice. Or even better, it's simply a preference.